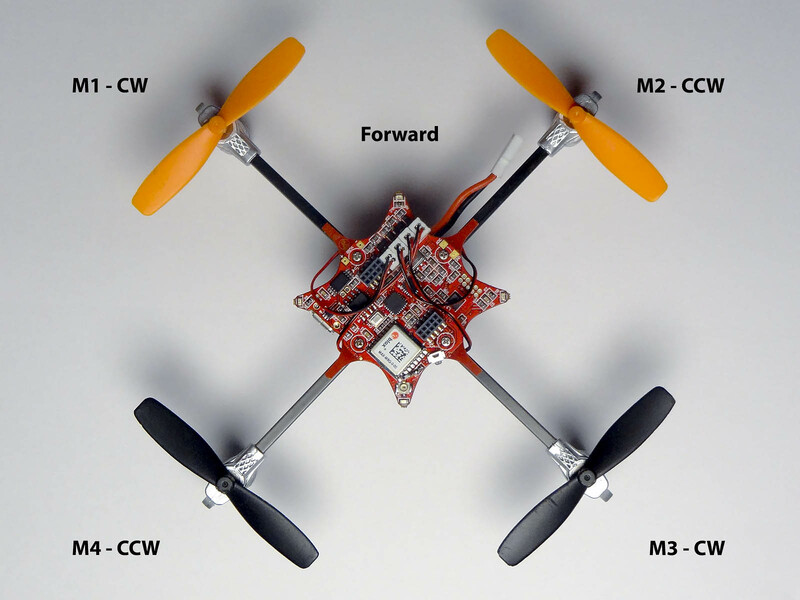 The M4 autoquad board was designed to fit the frame for one of the most popular and sold pocket quads ever: The Walkera Ladybird V2. 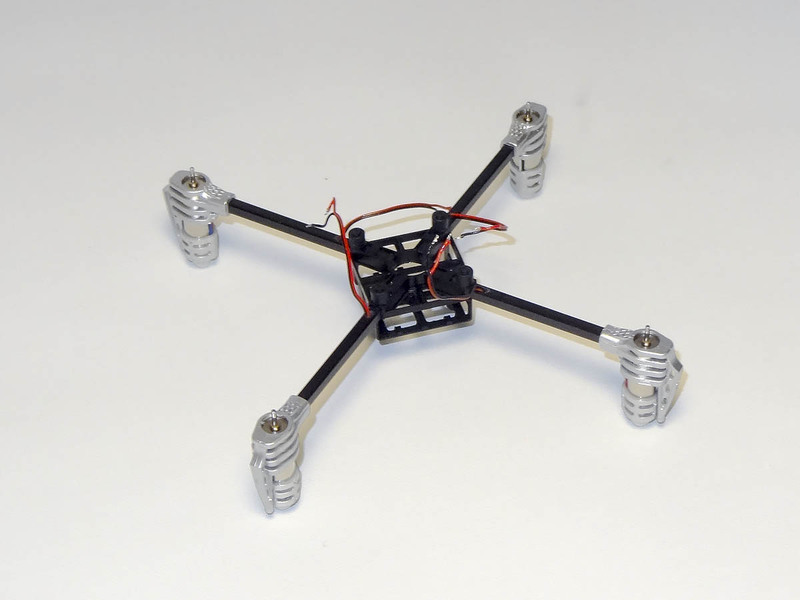 Due to the massive popularity of the Walkera Ladybird, parts for it is available all over the world and you can get frame, motors, props and battery for around 20-25 Euro. The Version 2 board makes it even easier to put together a M4 Ladybird, since it can be fitted with the Molex PicoBlade 2-pin sockets that is provided with the board kit. 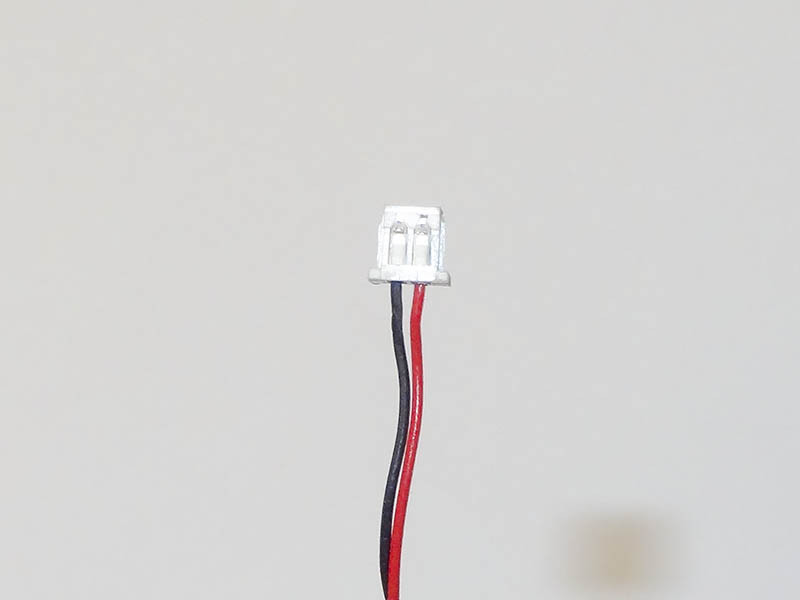 These connectors fit a variety of motors used on popular pocketquads, including the Walkera Ladybird. Putting it together is very simple. 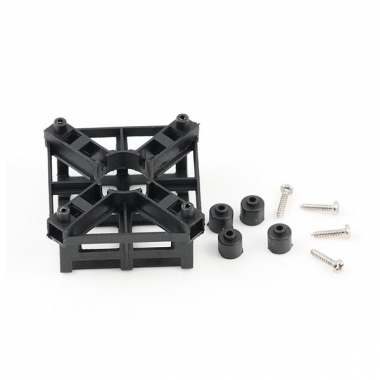 You just need to mount the controller and arms with 4 screws and plug in the motors. 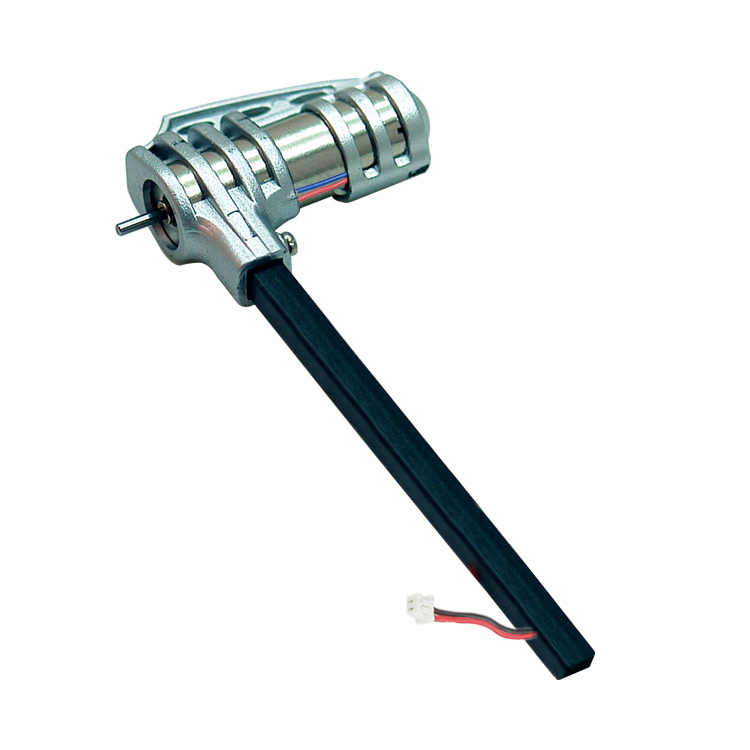 Motors and arms is a set. 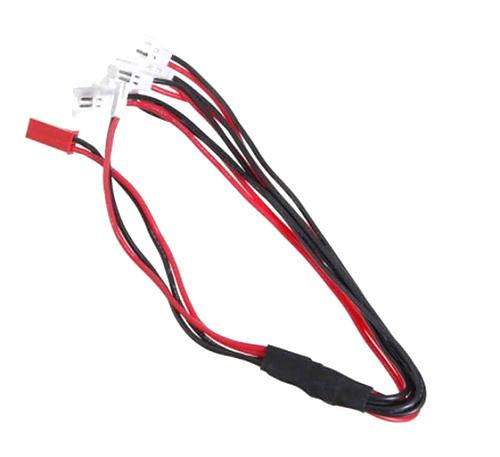 You need to get 2 clockwise (CW – Red/Blue wire) and 2 counterclockwise (CCW – Black/white wires). 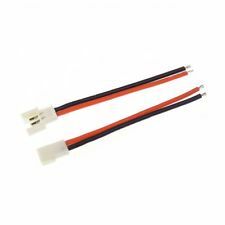 You will also need at least one 1S lipo battery. 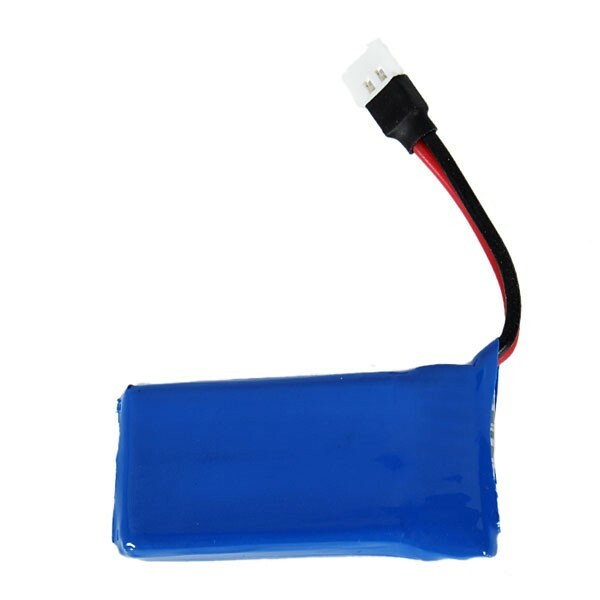 This one claims to be 380mAh 25C or 35C and is usually sold as a replacement battery for Hubsan X4 and Walkera Ladybirds. 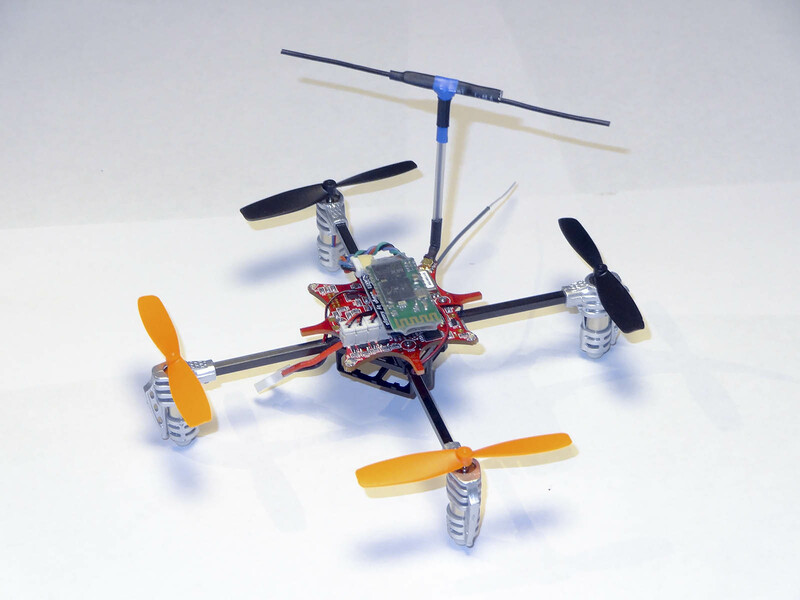 It weighs about 10 grams and will usually give between 6 and 9 minutes flight time depending on take off weight. Quality of individual cells can vary, but they are cheap.You can substitute with any similar weight and density battery from a name brand, but be aware to make sure it fits in the battery tray. Higher C ratings is preferred. BE VERY AWARE THAT SOME BATTERIES COME WITH REVERSED POLARITY – MAKE SURE THAT BATTERY POLARITY IS CORRECT BEFORE PLUGGING THE BATTERY. Props are needed too. 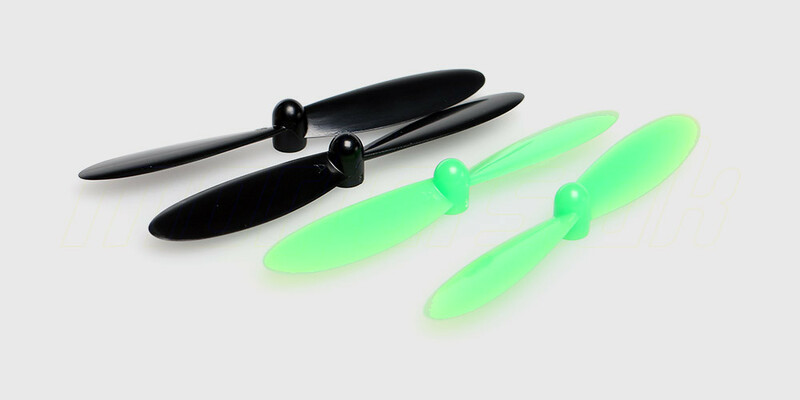 We recommend the original Walkera Ladibird propellors, but Hubsan X4 or YD117 props will work too. See further below for a table of thrust curve values for different propellors. Cutting the arms: To build a Ladybird, you can remove the small arms that is part of the board. They can be cut with a sidecutter, pianowire-cutter or similar tool. Make the cut just above the arm number. A little bit of sandpaper or a small file can be used to clean it up afterwards. 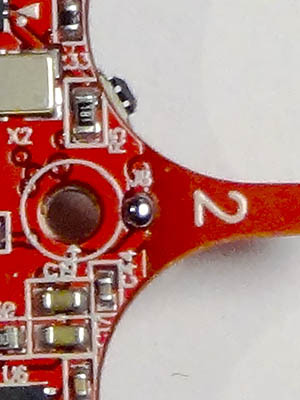 Motor Connectors: The picoblade connectors go on the bottom of the board and are marked in the silkscreen. Solder them in place if you intend to use them. 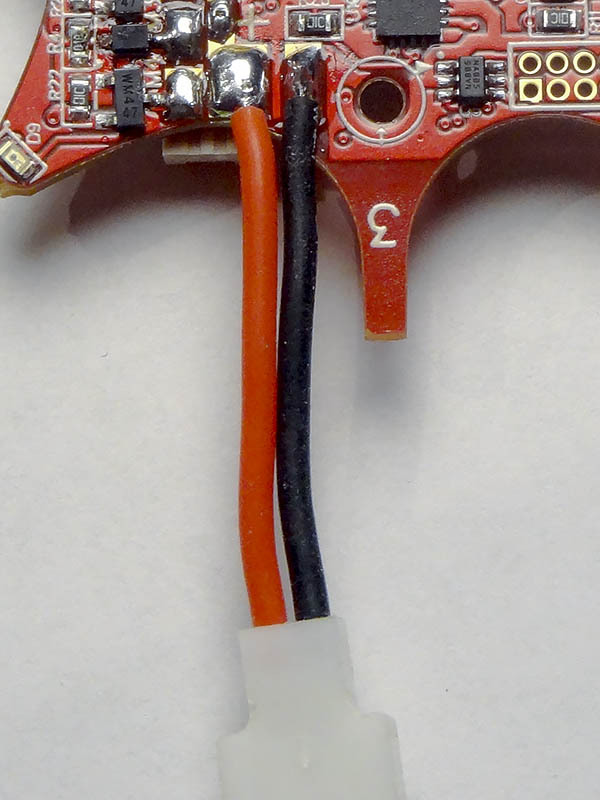 Battery lead: Solder a battery lead to the + and – pads of the M4 board. 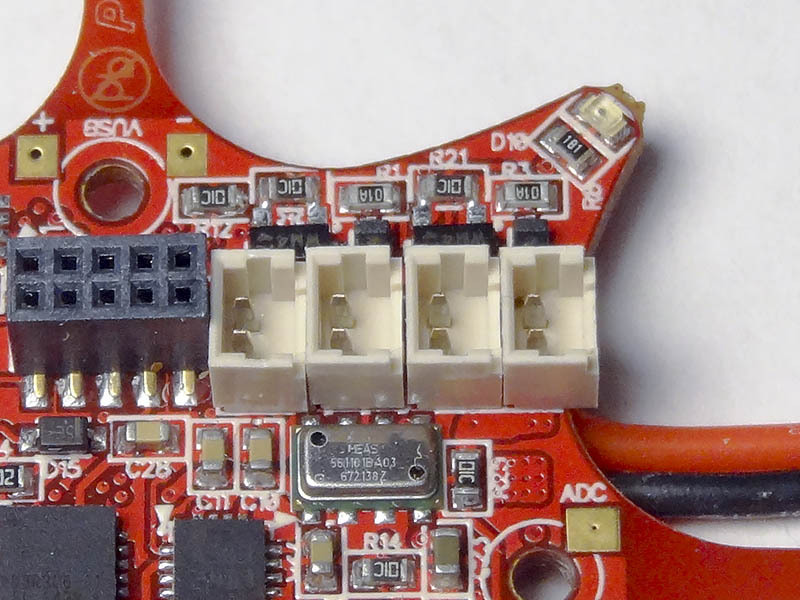 MAKE SURE THAT POLARITY IS CORRECT, there is no reverse voltage protection on M4 and plugging a reverse voltage source will likely destroy your board.! There is really not much to it. 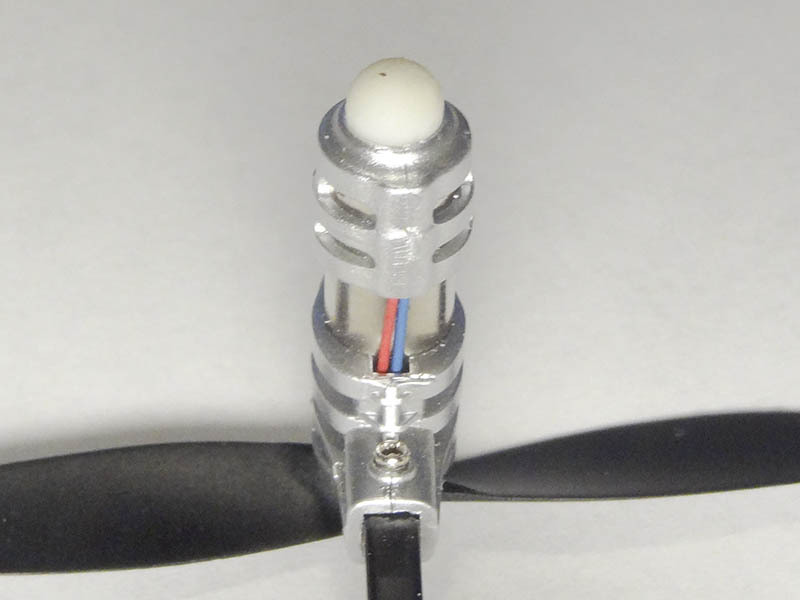 The arms slide into the body and is held in place with the same screws that hold the flight controller. Just slide in the motor arms to begin and mount the small rubber grommets that supports the board. 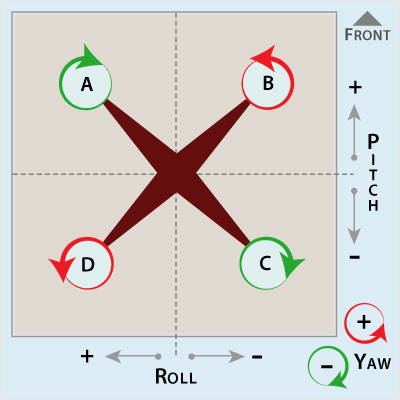 Place motors according to this table, so that Motor 1 (A) is the forward left motor in the flight direction and rotating clockwise. 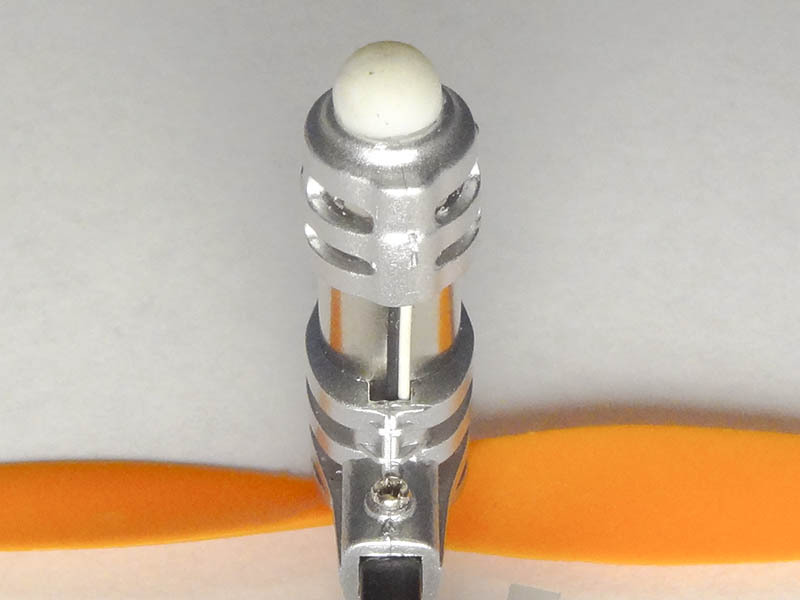 To allow using the Motor connectors and Expansion board headers, the board should be mounted upside down with the Yellow LED facing forward in the flight direction. 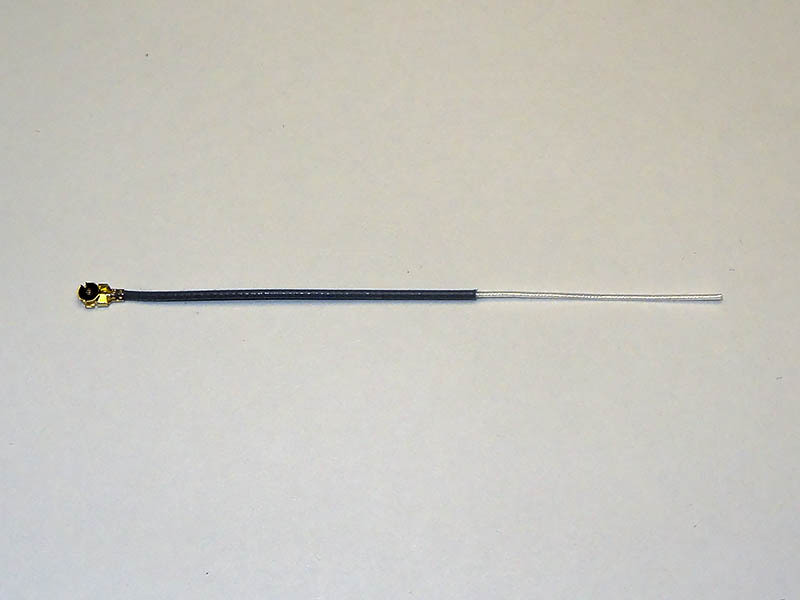 You can consider adding a GPS dipole antenna that is simple and easy to create from a u.fl extension cable and some wire scraps. 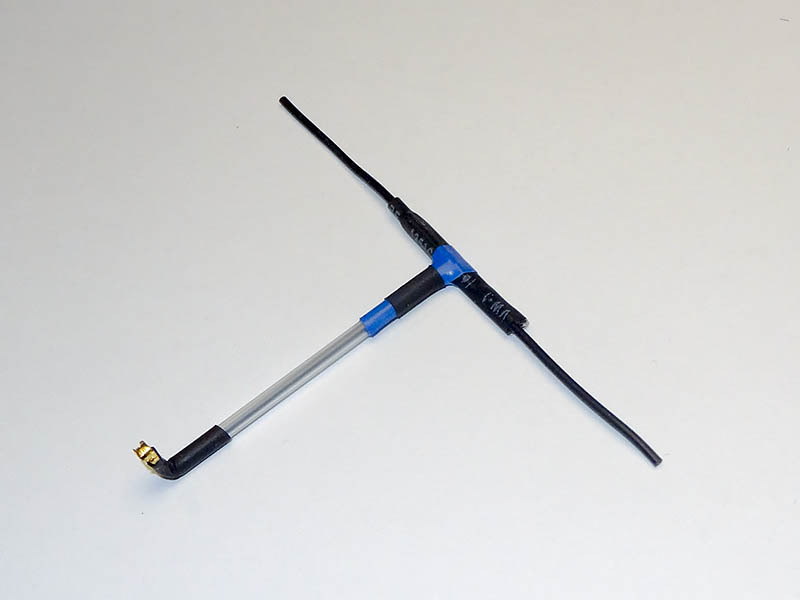 Refer to the M4 GPS antenna options page for details. The V2 boards come with a Quatos Firmware (rev 432) and key loaded. So all you really need to do is to load the configuration file below to set your new Ladybird up for first takeoff. In case you want to update the firmware, use the Firmware download Wizard and set it up for a M4 version 2 board with Quatos. Refer to the M4 – Installation and Setup page for details on flashing firmwares to M4 boards. You will need to load the right parameter file for a LadyBird with Quatos. The file can be downloaded from this link: LadyBird V2 configuration file Refer to Upload parameter files to AutoQuad for details. The default configuration is set up for the original LadyBird propellors. Should you desire to use other propellors, you will need to load new thrust curve parameters to the controller. 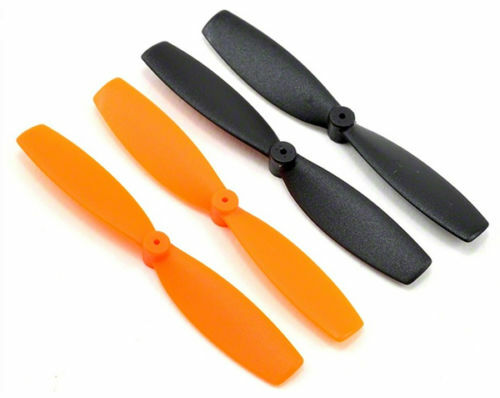 Below is a few popular choices: Hubsan X4 propellor – good alrounder, runs quiet and slightly more efficient than the LadyBird props. But look out for cheap clones with bad balance and overweight issues. Replace if they become nicked in a crash, they can give nasty vibration problems if the tips are dented or nicked. This page was created on 22-Dec-14 by jussi. Last modified on 17-Jan-15 by kinderkram.